Kia's all-new Sorento emerged as the winner of the coveted Public Car of the Year honor at the prestigious 2015 Middle East Car of the Year (MECOTY) Awards. The Kia Sorento received the highest number of public votes from across the region amongst all 48 nominated vehicles. The results were announced at a gala award ceremony in Dubai on 29th October. The accolade comes soon after Kia Motors' milestone of exporting its 15 millionth vehicle in August 2015, coincidentally a 2016 Sorento with the United Arab Emirates being the destination. The Middle East is one of Kia's most successful markets as the region contributes significantly to the brand's global sales volumes. 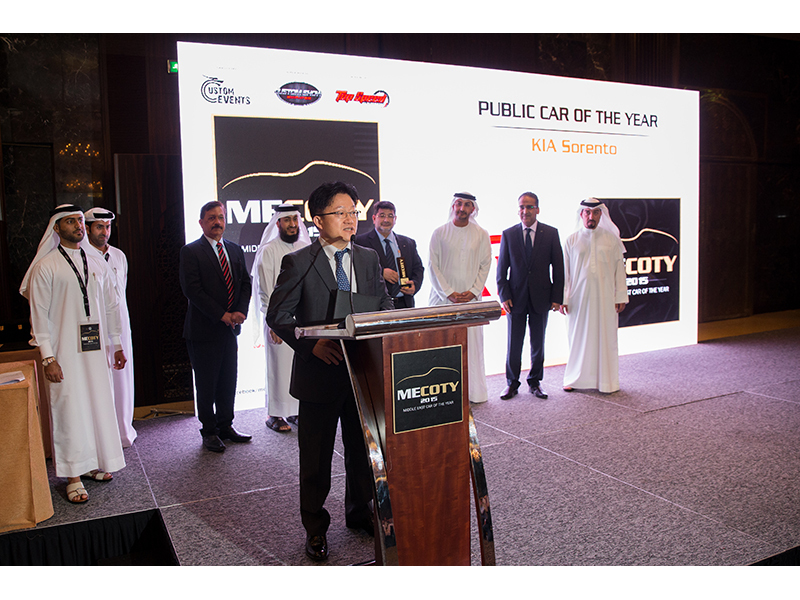 Commenting on the Sorento's Public Car of the Year award, Mr. Alex Chung, President of Kia Motors Middle East and Africa Regional Headquarters, said, "The people have spoken! The incredible vote of confidence from the Middle East customers themselves is a fantastic achievement for all of us at Kia and will inspire us all to try even harder to satisfy the exacting standards of car buyers in this region."